The idea of having to head to the dentist to get dental work done isn’t pleasant, but with the latest technology in restorative dentistry, having dental work performed is faster and less painful than ever before. One-day dental crowns are one of the newest innovations now offered by a few select Las Vegas crown dental practices. Read on to learn more about same day crowns and how they could simplify treatment for you. A dental crown is a cap that is put over the top of either your natural tooth or over your dental implants. When crowns are used with implants, they are referred to as crown implants. Crowns can be made from many different types of materials, from stainless steel and metal alloys to porcelain and ceramic materials that look and feel like natural teeth. Once your dentist finishes placing your crown, your tooth and implant is completely covered. What Conditions Do Dental Crowns Treat? 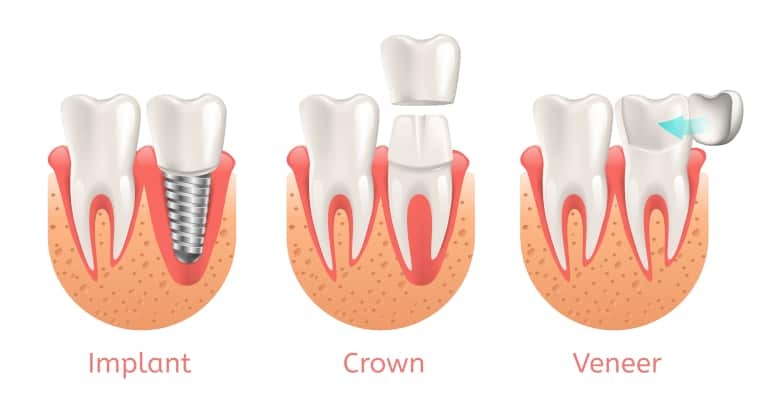 Crown implants are used to replace a tooth that has been lost due to disease, infection or an accident. These crowns keep you from having a gap or hole in your smile. Dentist try their best to keep natural teeth in place, as pulling teeth can lead to jaw problems. Dental crowns make it possible to keep a natural tooth in place that would otherwise be lost or severely damaged. The crown enables the patient to chew properly and provides protection for their tooth underneath. As a cosmetic dentistry treatment, crowns are used to cover teeth that cannot be whitened, fixed with inlays or onlays or simply covered with veneers. What Is a One Day Dental Crown? 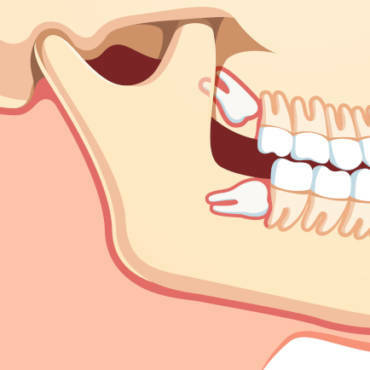 Adults have a total of 32 teeth with wisdom teeth included, no two people’s teeth are exactly identical. As a result, dental crowns must be customized for each patient. Traditionally, this meant that it took at least two visits to the dentist to install a crown: the first appointment to size the crown and the second visit to place it. One day crowns are an efficient way to get rid of the need for a second visit. With this innovation in restorative dentistry, our Las Vegas crown dental team can use a state-of-the-art computer-controlled milling system to make the crown right onsite. Patients can now have their smiles restored in one day; eliminating the need for a second appointment. What Does a Dentist Do to Place a Dental Crown? 1. Administering anesthetic. To ensure that you’re comfortable throughout the process, the dentist administers a shot of anesthetic into the area to be treated. 2. Preparing the site. After you are given the anesthetic, the dentist uses equipment to grind and shape the tooth that is to be covered. This ensures that the crown is stabilized and that it will last as long as possible. 3. Making images. After the tooth is ready to be covered, the dentist uses an intra-oral scanning camera to make a digital image of your tooth. The image is 3D and an exact reproduction of every intricate detail of your tooth. 4. Producing the crown. Using specialized software, the dentist imports the images taken by the intra-oral scanning into a milling machine. 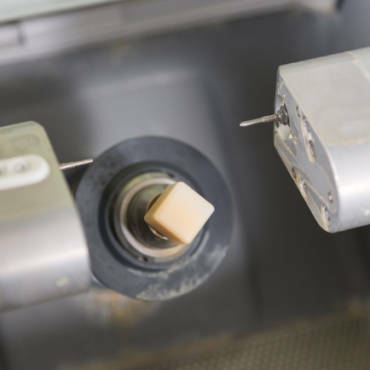 The machine then processes the details of the image to grind a piece of porcelain into the customized shape needed to precisely cover the tooth. Normally, the entire process takes around 30 minutes. 5. Placing the crown. Next, the dentist will install your new dental crown over top of the tooth and then carefully examine it to ensure that it fits correctly and that it looks natural. If any changes need to be made to the crown, it will be done at this point, but with this highly sophisticated milling process, crowns are often correct the first time. 6. Bonding the crown. The final step in the process is bonding the crown to your natural tooth. This is done by placing very strong dental cement inside of your crown and then pressing it onto your tooth. Any extra cement is scraped away, and the process is complete. Because your crowns will be exposed to friction and pressure when you chew, they are not permanent. Most dental crowns will last for at least 5 years, though some crown implants can last up to 15 years. Traditionally, the ideal minimum timeframe that your crown can last is around ten years. Repairs can be done to dental crown in some cases if your crown becomes cracked or damaged before it would normally require replacement. In some cases, your dental crowns may need to be completely replaced due to extensive damage. Does Insurance Cover Dental Crowns? Dental insurance differs depending on your policy, but many plans do provide at least partial reimbursement for the cost of dental crowns. Some will cover the full cost of repairing your dental crown. With policies that cover initial dental crowns, replacements are usually covered as well, the frequency of dental crown installment and replacement usually come with restrictions. These usually include some sort of schedule mandated by the insurance company, which is usually once every 5 years. but only if they are performed according to the schedule established by the insurance company. While you can get a crown placed in many dental office practices, not all dentists have the technology that allows them to install one day crowns. 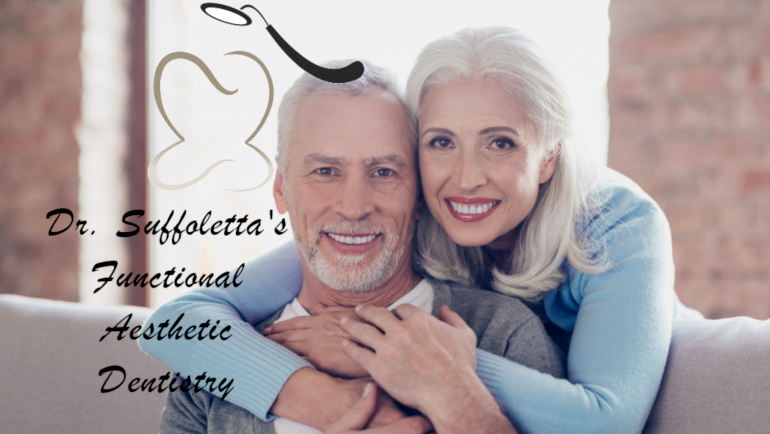 Our team at Dr. Suffoletta’s Functional Aesthetic Dentistry, is a Las Vegas Dental Office that specializes in one day dental crowns and has the state-of-the-art equipment and expertise needed to provide you with fine quality crowns with just one visit. To find out if you are a good candidate, call our Las Vegas dental office in Summerlin to schedule a consultation with Dr. Suffoletta at 702-671-0001. Find us on FB, Insta, Google & more!